For something so common and universal, replacement windows can be a real mystery to the average homeowner. This is due in part to the fact that the window industry rivals the new car industry in "locking down" all the information and keeping it within their closed field. A replacement window is a strange thing, with very few parallels elsewhere in the house. As the name implies, it's a window that replaces your current window, but not on a one-for-one basis. What you take out (the old window) is not completely replaced by the new window (replacement window). When you remove your old window, you are removing only the sash and a few other related parts. You are not removing the entire window that was originally installed by the house builder. It is nearly impossible to remove every single bit of material from the old window, so some of it remains attached to your house. Even though the replacement window is not the same as the original window (also called a new construction window), it does function the same. If it's a double-hung window, it slides up and down. If it's a casement window, it swings in and out. Even though replacement windows are smaller than the originals, usually they will perform better. It is usually glaringly obvious when you need to replace your windows. However, the high cost of replacing windows can cause homeowners to put off this project year after year. High Energy Bill. Energy costs are abnormally high, yet you have done other on window-related repairs to save money (chiefly, insulation in walls and attic). Drafts. Chilly breezes in your house during the winter can come from even the tiniest cracks in window glass or window framing. Window Glass Cold to the Touch. Single-pane windows will always feel cold to the touch, no matter their condition. But if you have double-paned windows, they should feel only moderately cold when the temperature outside is very cold. Difficulty Opening or Closing Windows. Wood windows stuck to the frame by layers of paint. Settling of the foundation causing frames to twist, preventing the window sash from moving. Casement window hinges and latches rusted. Any of these might necessitate a full replacement rather than repair. Window Painting and Repair Impossible. When your windows reach the point where the paint is alligatored, cracked, peeling, and the wood is rotting and falling apart, it becomes more cost-effective to replace the windows rather than repair. You Get a Financial Windfall. If you have extra money that you can earmark for home remodeling (a work bonus, inheritance, home equity loan, etc. ), it makes sense to put money into replacement windows. Do-It-Yourself Window Replacement Not Possible. Most people do not or cannot replace their windows. Replacement window companies fall into 2 categories. First, you have the purely local companies. These companies might favor one particular manufacturer, but usually, they have a variety of manufacturers to choose from. Second, you have the franchised or corporate operations, like Sears, The Home Depot, Pella, Andersen, or Empire. These larger operations may offer you a variety of manufacturers, but more often they offer their own brand (i.e., Pella will install only Pella windows) or a favored house brand. Remember, when you are shopping for replacement windows, you are shopping for both windows and installation companies, though they fall under the same umbrella. Windows - Consumer Reports offers frequent replacement window ratings. Even though it is an industry-supported lobby, the National Fenestration Ratings Council does a rather good job of supplying information about energy ratings for windows. Installers - Installers are local, and it is often hard to get ratings for local contractors. Naturally, the Web offers a few places. Many urban communities are served by Consumers' Notebook, which takes a tough look at replacement window installers. Neighbors can also tell you whether a window company performed to their satisfaction. If doing an Internet search, be sure to geo-target your searches. For instance, in Google, search for "replacement windows [your city]." A map of your community should appear, along with a list of local window companies. Any ads reading "Top 5/10/etc. Window Companies" should be avoided, as they are little better than scams. ServiceMagic does a decent job of connecting you to participating installers, but keep in mind their referrals are not recommendations as to the quality of work. +5 Estimates. Nobody likes getting estimates. But this is not the time to become lazy with getting estimates. Get five or more estimates: a wider range of price quotes puts you in the driver's seat. The good news is that replacement window estimates are easy to get. Few companies charge for estimates, and salespeople will typically bend over backward to accommodate your schedule. Know Your Target. Do not let the salesperson tell you which windows need to be replaced. 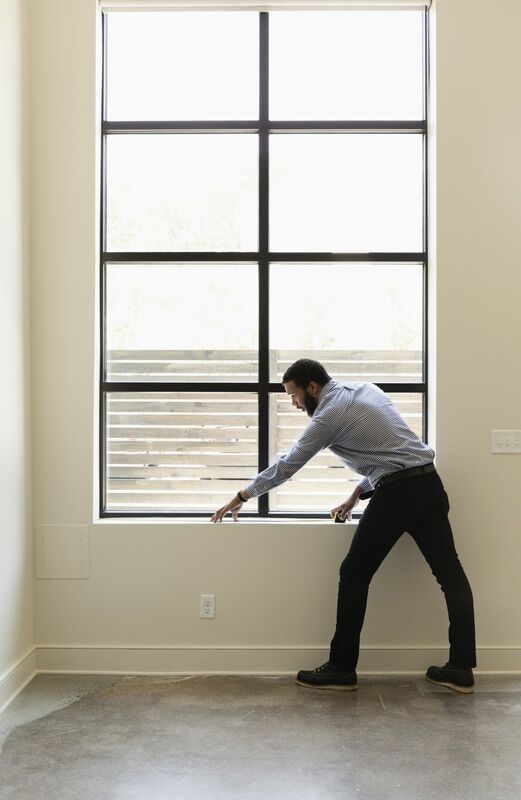 Even an honest salesperson may be tempted to push a few more windows onto the estimate. Find Off-Brand Windows. Encourage the salesperson to help you explore the entire range of window manufacturers—not just the expensive name-brands. Sit on the Estimate. Do not immediately act on the estimate. If you wait long enough, you will almost always be able to negotiate a lower price. This is an industry with built-in room for negotiations. Consider Inexpensive Windows. With the fierce competition between replacement window manufacturers, it is possible to find cheap replacement windows that still satisfy your needs. to come. Vinyl replacement windows also happen to be the cheapest type of window you can buy.